In AD 664 King Oswy of Northumbria has convened a synod at Whitby to hear debate between the Roman and Celtic Christian Churches and decide which shall be granted primacy in his kingdom. At stake is much more than a few disputed points of ritual; Oswy's decision could affect the survival of either Church in the Saxon kingdoms. When the Abbess Etain, a leading speaker for the Celtic Church, is found murdered, suspicion falls upon the Roman faction. Interesting new (for me) series & great narrator! Oxford, Spring 1353. 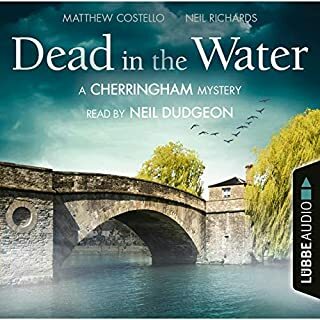 When young bookseller Nicholas Elyot discovers the body of student William Farringdon floating in the river Cherwell, it looks like a drowning. Soon, however, Nicholas finds evidence of murder. Who could have wanted to kill this promising student? 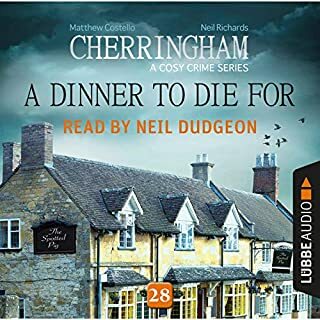 As Nicholas and his scholar friend Jordain try to unravel what lies behind William's death, they learn that he was innocently caught up in a criminal plot. In the small village of Kilbane, County Cork, Ireland, Natalie's Bistro has always been warm and welcoming. Nowadays 22-year-old Siobhan O'Sullivan runs the family bistro named for her mother, along with her five siblings, after the death of their parents in a car crash almost a year ago. It's been a rough year for the O'Sullivans, but it's about to get rougher. One morning, as they're opening the bistro, they discover a man seated at a table with a pair of hot pink barber scissors protruding from his chest. Cadfael's return to his Welsh homeland for a visit proves a rather discomfiting homecoming when an honorable nobleman turns up in a patch of forest with an arrow embedded in his chest. 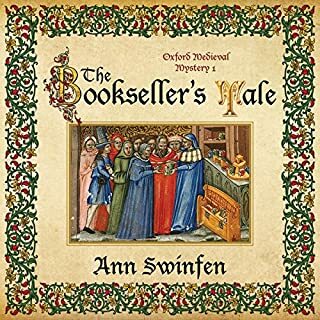 There are questions about the arrow, the man's daughter needs Cadfael's help, and a very odd burial takes place. It is the year 1586. England is awash with traitors, plotting to assassinate the Queen and bring about a foreign invasion. 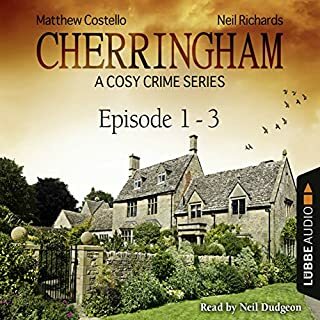 The young physician Christoval Alvarez, a refugee from the horrors of the Portuguese Inquisition, is coerced into becoming a code-breaker and agent in Sir Francis Walsingham's secret service. In the race to thwart the plot, who will triumph - the ruthless conspirators or the equally ruthless State? Selchester Castle in 1953 sits quiet and near-empty, its corridors echoing with glories of the past. Or so it seems to intelligence officer Hugo Hawksworth, wounded on a secret mission and now reluctantly assuming an altogether less perilous role at Selchester. Gaius Petrius Ruso is a divorced and down-on-his-luck army doctor who has made the rash decision to seek his fortune in an inclement outpost of the Roman Empire, namely Britannia. After a 36-hour shift at the army hospital, he succumbs to a moment of weakness and rescues an injured slave girl, Tilla, from the hands of her abusive owner. And before he knows it, Ruso is caught in the middle of an investigation into the deaths of prostitutes working out of the local bar. As the city prepares to celebrate Queen Victoria's golden jubilee, Veronica Speedwell is marking a milestone of her own. After burying her spinster aunt, the orphaned Veronica is free to resume her world travels in pursuit of scientific inquiry - and the occasional romantic dalliance. As familiar with hunting butterflies as she is fending off admirers, Veronica wields her butterfly net and a hatpin with equal aplomb, and with her last connection to England gone, she intends to embark upon the journey of a lifetime. Wighard, archbishop designate of Canterbury, has been discovered garrotted in his chambers in the Lateran Palace in Rome in the autumn of AD 664. The solution to this terrible crime appears simple, as the palace guards have arrested Brother Ronan Ragallach as he fled from Wighard's chamber. Although the Irish monk denies responsibility, Bishop Gelasius is convinced the crime is political and that Wighard was slain in pique at the triumph of the pro-Roman Anglo-Saxon clergy in their debate with the pro-Columba Irish clergy at Whitby. There is also a matter of missing treasure: the goodwill gifts Wighad had brought with him to Rome and the priceless chalices sent for the Holy Father Vitalian's blessings have all been stolen. Bishop Gelasius realizes that Wighard's murder could lead to war between the Saxon and Irish kingdoms if Ronan is accused without independent evidence. So he invites Sister Fidelma of Kildare and Brother Eadulf to investigate. But more deaths must follow before Fidelma is finally able to put together the strange jigsaw in this tale of evil and vengeance. 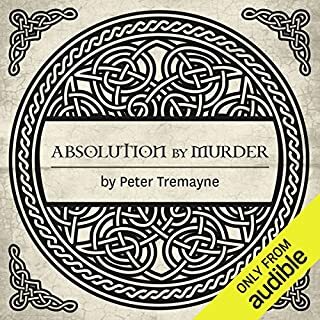 ©1995 Peter Tremayne (P)2014 Audible Inc.
Ok storyline. Narrator was good, but hard for me to casually listen to and understand. It was a turn up the volume and concentrate to distinguish words. Male narrators work better for me, or Davina Porter. Great story read perfectly - I am engaged throughout the entire telling of the story. Wonderful narration and gripping plot. Unexpected twists and turns. Overall, I enjoy the Sister Fidelma series. 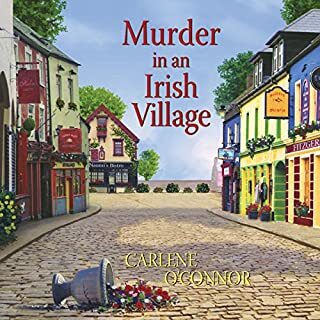 This is the second book in the series, set in the seventh century and following the mystery solving Irish religious Sister Fidelma and her sidekick and amour, the Saxon Brother Eadulf. The author is Peter Berresford Ellis (writing under the name Peter Tremayne) who is a noted British historian and he includes some great historical details. This mystery was well thought out. I had an inkling of who the guilty parties might be, but the story was still good. The plot doesn’t drag but keeps a good pace. There are a few things I don’t like so much. Tremayne doesn’t seem to be a natural storyteller and so the plot is not nearly as smooth as say a Steven Saylor or Ruth Downie novel. Tremayne’s storytelling feels a bit wooden. Tremayne also tends to have very black and white characters and sides, often representing causes he feels strongly about. So Fidelma and Irish church are all good, and seem like progressive Episcopalians from the 1990s transported back to the seventh century. The Romans and Saxons are often the bad, corrupt, money-hungry conservatives. It would be nice to have a bit more complexity. I also find Sister Fidelma to be a bit pedantic and uptight. Tremayne tries too hard to make her the feminist superwoman - I think she’d be a more likable character if she had some foibles. All in all though, my criticisms are minor and this is a book well worth a read. Sister Fidelma joins the ranks of Sherlock Holmes, Isaac Bell and Annja Creed of stories I can't get enough of. I admit that I was baffled right up to the end, and I really hoped that it was the mean abbess instead of the ######. ;-) I love Caroline Lennon's voicing the tale, and more than anything, I love Fidelma's honest appraisal of the Church of Rome, and it's way of doing things, as opposed to the simple and direct faith of the church of Columbus Cille. We'll done, and on to Book 3!